Carbon monoxide poisoning can be a deadly poison in your home. It is an odorless, colorless and tasteless gas that is very difficult to detect. Long term exposure to carbon monoxide can cause depression, confusion, and memory loss. Many people exposed to large amounts of carbon monoxide suffer from headaches, fatigue, malaise, hallucinations, and even death. The poisoning effects of carbon monoxide are a very real threat in your home. Even a healthy person with no preexisting conditions can still suffer confusion and memory loss from minimal exposure. When it comes to carbon monoxide poisoning, the key to protecting your family is prevention and early detection. Carbon monoxide is a gas that when inhaled into the lungs poisons the body. Installing a carbon monoxide detector in your home is as simple as plugging it into an electric outlet. This relatively inexpensive device will monitor the levels of carbon monoxide in your home and alert you before it become hazardous. This warning system will allow you time to properly ventilate your home from the carbon monoxide fumes. 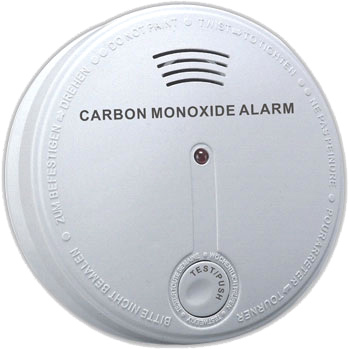 Call Circle B Mechanical to have a carbon monoxide monitoring system installed in your home today! Remember: prevention and early detection is the key to protecting your family against carbon monoxide protection in your home. This entry was posted in Carbon Monoxide. Bookmark the permalink.